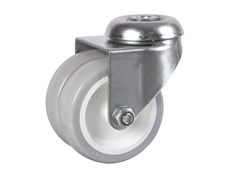 Die-Pat bolt hole fitting twin wheeled castors in grey pvc, ideal for commercial catering equipment. Bolt hole fitting castors are available in 50mm - 75mm diameters with loaf capacities of 55kg and 80kg respectivly. 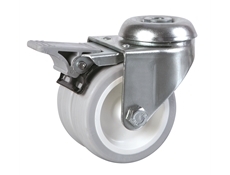 Castors are available in swivel or braked versions.